It has been sweltering hot apparently, although I think I missed it. It hasn't been too bad, to me, but I suppose the humidity makes people uncomfortable. I spend way too many hours freezing in a modern day ice age known as my office to walk outside and then find the nerve to complain about the heat. 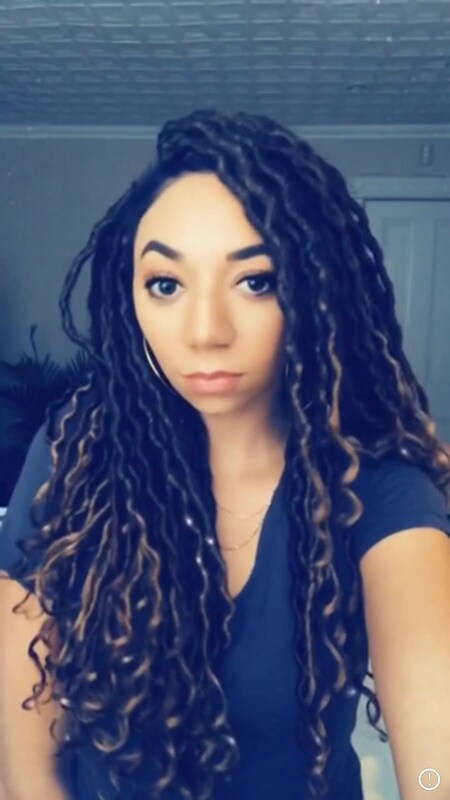 I know winter is coming, and I know I will not like it, so I keep my complaints reserved for icy roads, seeing my own breath and having the air hurt my face. Unacceptable. At this point my only complaints are that it's too hot for me to lounge outside in the sun for hours comfortably and that it's been too hot to do a lot of the things I want to do in the kitchen, like remake this batch of cookies. Having the oven on, even in short bursts, is the only thing making this hot stretch hard for me. I have a serious love of soup and even though that also makes the kitchen a sweltering hot box I made a batch of something that has been swimming around in my head all summer. Elote. Soup. Elote is a Mexican street food which has suddenly become pretty trendy as a summer time side dish at backyard barbecues. It has also been appropriated under other names like "Mexican Corn" or had its origins removed completely and reduced to "Spiced Corn" or, or, or, but it is elote. An easy snack to get on the street from your local neighborhood elote guy - at least in Mexico and California - I make it infinitely LESS portable here but just as delicious. Additionally this is not esquite, though it is probably a warmed up cousin of it, esquite is more of a corn salad kind of deal made creamy with mayonnaise, which I don't include in this recipe. This is a small batch, feel free to double it. Helpful info: Use an old bundt pan stick the end of the corn husk in the hole and cut away the corn, this is great for stability and gives you a nice little collection bowl for the corn as well. Do not cut deep against the corn cob because we're going to enlist the help of the corn milk - what's that? What the heck is corn milk? It's the starchy goodness we can extract to help with the creaminess of our broth. It's a bit messy, but worth it. In this recipe I use the corn four ways. 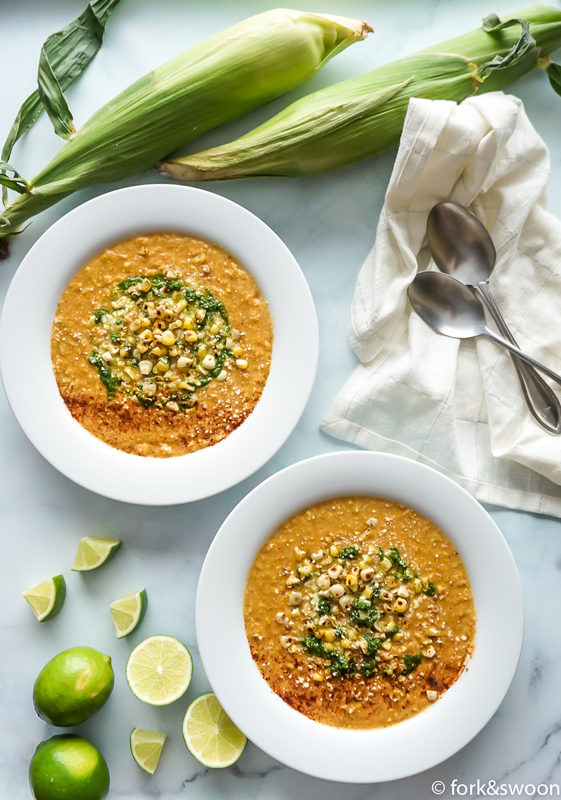 Fresh corn cut from the cob, corn milk to thicken and cream, boiled cobs to enrich the flavor of the broth and toasted kernels for finishing and extra texture. Remove and discard the husk and silk but reserve the corn cob through half off this recipe. Saute onion in oil until translucent over medium heat, add three cups of corn and saute until the corn changes color and brightens, lower your heat. 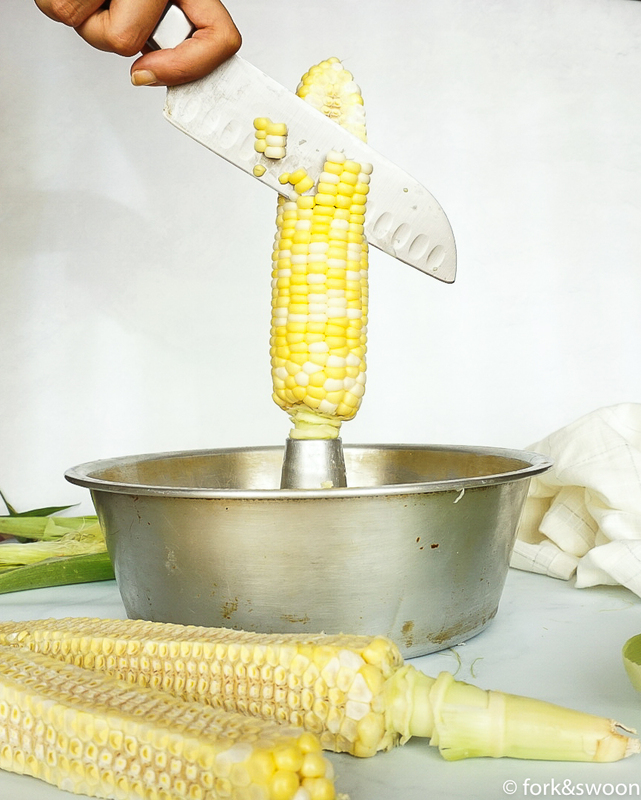 Over the pot grab your corn cob with one hand, stabilize the cob and using the back of your knife, drag upward while applying pressure. This will exude a creamy, milky, starchiness from the corn cob. It sprays a bit and gets a bit messy so I do this over the pot but if you have a large bowl and feel more comfortable working that way, do it. Once you have done this to each ear of corn place all four now naked corn cobs in the pot with your onion, corn kernels and corn milk and cover with 1 liter of broth. Bring the pot to a gentle simmer and cover for about 30 minutes. Remove and discard the corn husks, they are now free. They did a lot of work today. Using an immersion blender, or transfer to a blender, smooth down the broth and corn. You can go very smooth or leave a few bits here and there. Up to you. I like mine with a bit of chew. Add spices and cheese to the now smooth pot of soup, cover over low heat for a few minutes while you toast the reserved cup of corn. *In a dry and hot pan, I used cast iron, toast the cup of reserved corn. Try to char evenly, moving constantly around the dry pan with a wooden spoon. Remove from pan and place in a bowl so residual heat does not burn them. Swirl butter into the finished soup just before serving, add an additional shake of cotija cheese, toasted whole kernels, chopped cilantro and a squeeze or bright fresh lime juice before serving. *Alternatively you can grill one ear of corn for color at the start of this recipe and then cut the kernels from the cob, set aside and finish the recipe the same way.